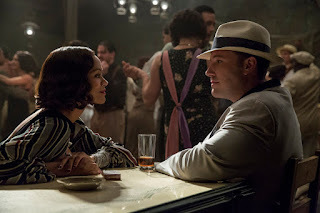 Zoe Saldana Captures the Heart of Ben Affleck in "Live by Night"
Known to global audiences as Gamora and Uhura in the Guardians of the Galaxy and Star Trek franchises, respectively, Zoe Saldana now portrays the exotic Graciela in Warner Bros. Pictures' new gangster film Live by Night. 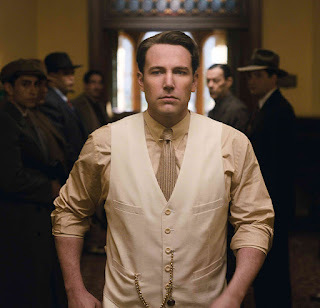 Directed by Ben Affleck, Live by Night tells the story of Joe Coughlin (Affleck), a WWI vet who’s a self-proclaimed anti-establishment outlaw, despite being the son of the Boston Police Deputy Superintendent. Joe’s not all bad, though; in fact, he’s not really bad enough for the life he’s chosen. Unlike the gangsters he refuses to work for, he has a sense of justice and an open heart, and both work against him, leaving him vulnerable time and again—in business and in love. 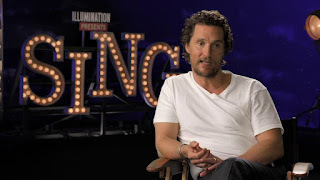 McConaughey Bursts with Optimism as Koala Showman in "Sing"
Oscar Best Actor winner Matthew McConaughey provides the voice of the optimistic koala Buster Moon who is determined to save his struggling theater despite dwindling audiences, in Universal Pictures and Illumination’s Sing. While anyone else would have faced reality and switched careers, Buster has an unrelenting drive to succeed, by any means necessary. Well-intentioned, he does have a habit of stretching the truth, which usually widens the hole into which he’s digging himself. Nonetheless, he has an irresistible charm because his passion and optimism are utterly contagious. Chris Pratt, a Different Kind of Galactic Guardian in "Passengers"
He has firmly secured himself as one of Hollywood’s most sought-after leading men with smash hits as Guardians of the Galaxy, Jurassic World and The Magnificent Seven. 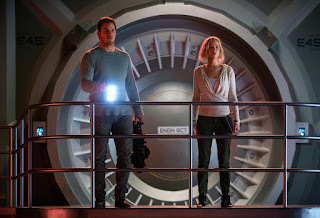 Now, Chris Pratt headlines Columbia Pictures' new futuristic thriller Passengers opposite Jennifer Lawrence. 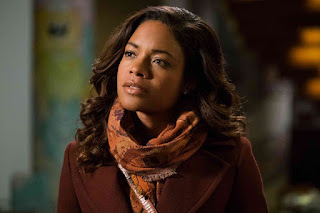 Fresh from winning Best Supporting Actress of 2016 from the National Board of Review for Moonlight – and predicted to earn an Oscar nomination as well -- Naomie Harris (Skyfall, Pirates of the Caribbean) now stars as sympathetic grief counsellor Madeline in New Line Cinema’s thought-provoking drama, Collateral Beauty. Wrinkled skin, a hunched back and a slow stride—this is the sad picture that comes to mind when you think about growing old. While ageing is inevitable, you can grow old gracefully even without having exceptional genes. Most mere mortals can live through old age gracefully and healthily, by opting for these simple lifestyle changes. 1. Stay positive Staying positive is one tip that most people take for granted. Negative vibes can cause stress and in turn can disrupt the body’s processes, opening risks to lifestyle-produced diseases. Staying positive is a way to train your body to manage the stress. In fact, research shows that positive thinking can increase your life span. 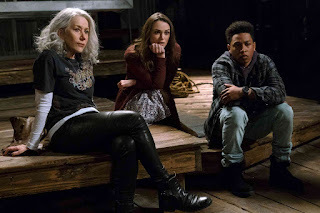 Scarlett Johansson, a Prickly Porcupine in "Sing"
Superstar Scarlett Johansson breathes life to Ash, a prickly teenage porcupine with a punk-rock attitude, in Universal Pictures and Illumination’s Sing, a musical comedy about finding the shining star that lives inside all of us. In the film, Ash auditions for a singing competition with her egotistical, unsupportive jerk of a boyfriend, Lance (Beck Bennett), but only Ash makes it as a finalist. In rehearsals, her rebellious nature continually puts her at odds with contest producer Buster (Matthew McConaughey), who envisions her as a pop-star princess; meanwhile, she wants to write her own authentic rock songs that reflect her unique style. Ash will have to go through a painful breakup, but in the end she’ll prove her integrity and sing on her own terms. 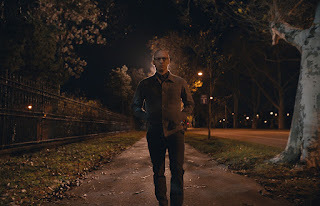 Universal Pictures has just revealed the main trailer for its creepy, pyschological thriller Split – the latest film from writer/director M. Night Shyamalan (The Visit). Check out the new trailer at https://youtu.be/ERDVACIbgEw and watch the film when it opens in Philippines cinemas on January 18, 2017. Split stars James McAvoy (X-Men: First Class, X-Men: Days of Future of Past) as Kevin, a man who abducts three teenage girls who suddenly realize that Kevin is one of 23 personalities. Check out the trailer at https://youtu.be/5JX4Cmsri0k and watch Blade Runner 2049 in Philippine cinemas in 2017. The best stories come when people least expect it. When it comes to traveling, whether it’s exploring offbeat paths or experiencing the best kept travel secrets across the world, it’s usually the surprises along the way that make the trip worth telling. What better way to share life’s great adventures than with the all new Globe Prepaid Roam Surf promos? 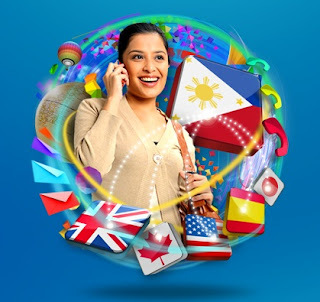 With its extensive range of offers, Globe Prepaid Roam Surf allows Filipino travelers to stay connected with the data roaming promo that fits them best. Prepaid customers can now choose from app-based, bulk data or unlimited data roaming packs depending on their needs and budget. Upcoming MMFF entry "Seklusyon" by Erik Matti is one of the most awaited films for the season. And with Reality Entertainment's partnership with HOOQ for the upcoming On The Job The Series, they came together for the exclusive premiere night with HOOQ. Leading telecommunications company Globe Telecom has donated P1-million worth of construction materials to the Province of Isabela to help rebuild schools which were severely damaged by Super Typhoon Lawin last October. 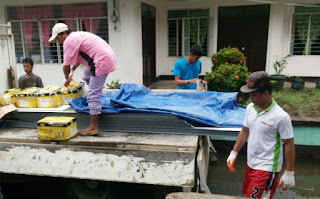 The province identified specific materials such as marine plywood, galvanized iron roofing sheets, and umbrella roofing nails which are needed to replace school roofs ripped off by the strong winds. 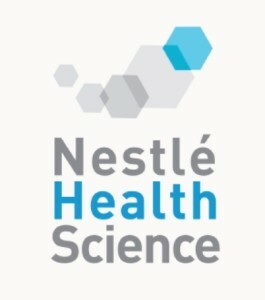 A letter of approval basically confirms that such tests are indeed part of a member’s HMO coverage and authorizes the diagnostic clinic to proceed with the requested tests. 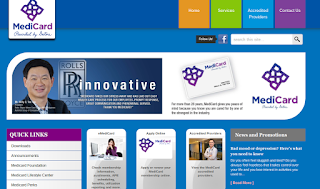 However, securing an LOA may mean going through a process that can be slow and inconvenient sometimes: A medical attendant gets your card, then calls the HMO provider to advise them of the laboratory test that needs to be done. Afterwhich, the patient waits for the approval. With the global anticipation of the new Star Wars movie, Rogue One: A Star Wars Story, the country’s #1 mobile brand, Globe, reinforces its partnership with the iconic movie franchise through a heartwarming video inspired by triumphant children. Now a viral material since its launch on the telco’s official Facebook page, it has over 41 million views and has been recognized by top online news outlets such as CNN, Mashable, Huffington Post, and UpWorthy, among others. The video tells the story of a girl who goes about her every day wearing a Stormtrooper helmet that ultimately piques the curiosity of people around her. One day, she enters her classroom and is surprised that her whole class too was wearing the same helmets, showing her support. This then leads to the heartwarming reveal of the girl’s condition when she takes off her helmet to reveal the oxygen mask. 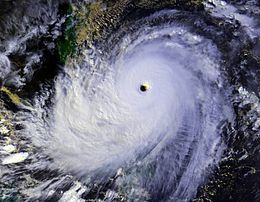 Diane Reyes had spent the last six years working in Japan as a teacher. This year she looks forward to finally spending Christmas with her family. SM Supermalls has made Christmas for Reyes even more special with its Pamaskong Handog para sa Global Pinoys celebration last December 10. Spearheaded by SM Supermalls, BDO, SM Global Pinoy and SM Store, the Pamaskong Handog Para sa Global Pinoy gave Overseas Filipino Workers like Reyes and their families a special day to celebrate the uniquely Filipino Christmas celebration in participating SM malls nationwide. 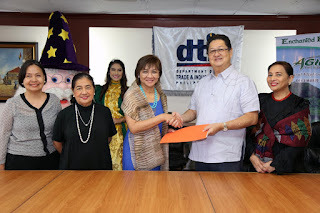 “The Pamaskong Handog Para sa Global Pinoy is really for our modern heroes and their families because it’s not every year that they get to experience Christmas here and so we want to them to experience the unique Filipino Christmas to make them homecoming memorable and truly heartwarming,” said Mr. Glenn D. Ang, Senior Vice President for Operations and Program Director of SM Global Pinoy. Elle Fanning Sparkles as a Country Girl in "Live by Night"
Coming a long way from playing Sleeping Beauty in the smash hit Maleficent, Elle Fanning now stars opposite Ben Affleck in Warner Bros. Pictures’ gangster film Live by Night, as Loretta, the sweet and naïve daughter of the Tampa police chief. It was the many facets of Loretta’s journey that would prove an exciting challenge for the young actress. “At first, Loretta has such sparkle, this girl with a twinkle inside her who is looking for adventure in life, she’s so excited to follow her dreams. Oddly, it’s when she loses that sparkle, loses that twinkle that she had, that she discovers her real purpose in this world,” Fanning reveals. The multi-awarded artist achieved Gold Record status on her latest album 'Ultimate' under Ivory Music Records, awarded at 'Sunday Pinasaya' on December 18. 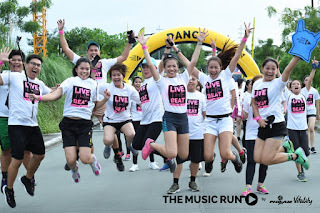 Branded as emotionally uplifting album, it has seven originally-composed songs in which the two are in collaboration with Christian Bautista (Suddenly) and Silent Sanctuary's main man, Sarkie Sarangay (Bulalakaw.) As a bonus, the music label added a timely holiday song entitled 'Nakaraang Pasko' that is exclusively available on digital stores. It's carrier single 'Hagdan' portrays an inspiring mood that was recently launched under Ivory's online streaming page. 'Ultimate' is physically available on record bars nationwide, or downloadable on iTunes, Spotify, Deezer and Amazon digital stores worldwide. Traditions are essential in every culture and create different experiences for everyone. For Filipinos, the Christmas season is one of the most celebrated traditions across the nation. As early as September, malls, establishments, and even homes are already decked out in holiday colors as families make plans for their usual Christmas activities. Whether it’s the annual Christmas Dinner, gift shopping, or traveling to wonderful destinations, the true meaning of the season is anchored on togetherness. Some may be miles apart but the love for each other brings everyone closer. New Line Cinema has just debuted the first trailer for its new heist comedy Going in Style starring Morgan Freeman, Michael Caine and Alan Arkin. Catch the trailer at https://youtu.be/rep8OQZgePg and watch Going in Style when in opens in Philippine cinemas on April 06, 2017. 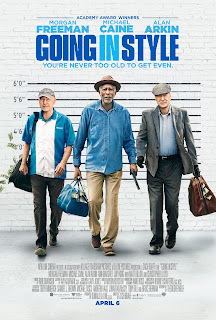 Oscar winners Morgan Freeman, Michael Caine and Alan Arkin team up as lifelong buddies Willie, Joe and Al, who decide to buck retirement and step off the straight-and-narrow for the first time in their lives when their pension fund becomes a corporate casualty, in director Zach Braff’s comedy Going in Style. OFWs have long enjoyed travel tax exemption privileges under Section 2 of PD 1183, due to their significant contribution to our national economy. 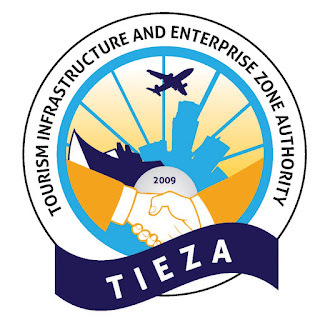 During the previous Holiday season though, and in Holiday Seasons past, those who wished to take advantage of their travel tax exemption had to obtain a certificate from the Tourism Infrastructure and Enterprise Zone Authority (TIEZA), for which there was a fee. This Holiday Season will be the first in which OFWs will no longer need to pay for and obtain a separate Travel Tax Exemption Certificate. Leading power tool brand Bosch recently concluded the Bosch User Conference at MC Home Depot in Bonifacio Global City. Industry professionals, traders, dealers and users were gathered to see the latest from Bosch’s vast portfolio of portable handyman solutions and accessories from Bosch Professional, Bosch Cordless Tools, Bosch Measuring Tools and Dremel Rotary Tools. Held for the first time, the Bosch User Conference aims to build strong connection and support to its consumers through an educational platform that will help them maximize the capabilities of innovative power tools. 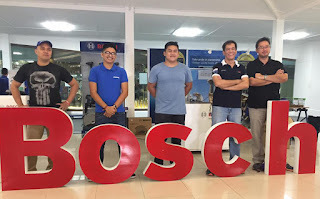 Bosch ambassadors and end-users Sonny Limjap, Paco Pili, Kenny Ansis, Dennis Mendoza and Ricky Ongkeko led interactive demonstrations and hands-on activities on woodworking, upcycling, DIY, and construction with the use of Bosch and Dremel rotary tools and measuring tools. 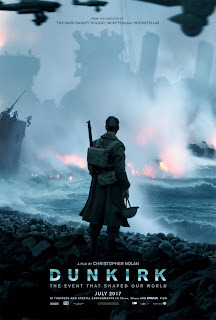 The new trailer of master filmmaker Christopher Nolan’s epic war film Dunkirk has just been released and may be viewed at https://youtu.be/L4-UIhtbz4M. The Department of Trade and Industry signed a Memorandum of Agreement (MOA) with the biggest and leading theme park in the Philippines, Enchanted Kingdom (EK) for its Go Lokal Store Project. EK is one of the first retail players that supported the Go Lokal Store Project of DTI which primarily aims to extensively promote products through provision of store space that will offer locally-made quality products of micro, small and medium enterprises (MSMEs) from across the country. At present, EK selected 25 MSME suppliers from various regions that will be featured in the said theme park. KIX, action entertainment TV channel, premiered a new reality show, The Ultimate BROcation, last December 14. 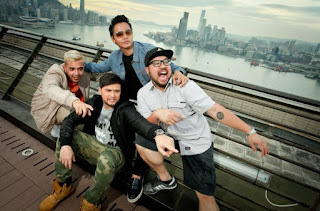 It is a hilarious reality show about four celebrities from different countries discovering Hong Kong in an all-expense paid vacation, tailor-made for bros. The show stars our very own R&B sensation Billy Crawford along with 3 other Asian celebrities: Thailand’s “bad boy” DJ and TV host P.K. ; award-winning Malaysian hip hop artist SonaOne; and Singaporean maverick chef Bjorn Shen. These bros will bond in Hong Kong for five days with no girlfriends, no kids and no sleep, oh and get this – these four guys don’t even personally know each other. ALERON, one of the country’s top all-male choir launched recently their debut Christmas album “Dakilang Hiwaga,” which includes a wide variety of songs. Also included in the album are some songs from their European Concert and Competition tour repertoire. The group aims to further cement the Filipino’s reputation of having some of the world’s most formidable musicians through this trip. The group is set to compete in the most prestigious choral singing festivals and competitions from May to July of 2017. The most important leg of their tour is the 11th World Symposium for Choral Music which will be held in Barcelona, Spain. The event is hosted by the International Federation for Choral Music (IFCM) and will feature the world’s finest choirs and choral leaders. ALERON is one of IFCM’s ambassadors for 2017, and they are the only Filipino performer to have been invited to the event. There was a time when people did not know much about apps like Netflix or devices like Chromecast. Today, these have become a big part of a digital native’s lifestyle and vocabulary. With these new innovations, people need to keep up to maximize their internet connection. As Globe Broadband continues to roll out faster speeds and better plans across the country, more people are able to gain access to new entertainment content and the latest gadgets customized for their lifestyle. 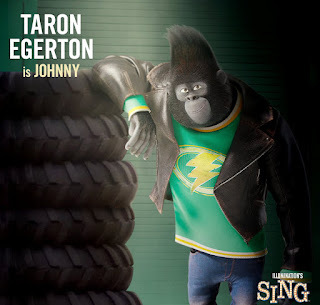 Taron Egerton is Johnny, the Soulful Gorilla in "Sing"
Young British actor Taron Egerton, known to audiences worldwide for his work in Kingsman: The Secret Service, lends his voice to the teenage gorilla Johnny, in Universal Pictures and Illumination’s Sing, a musical comedy about finding the shining star that lives inside all of us. (Watch the featurette Be Like Johnny at http://youtu.be/ybKWEspdoJ4.) A soulful, Cockney gorilla, Johnny’s beautiful singing voice and passion for music are in direct opposition to his role in his father’s bank-robbing crew. He has always resisted a life of crime but has no choice as he was born into it. Johnny wants to be a singer but knows that his alpha-male father would disown him, if he knew the truth. He keeps his involvement in the singing competition a secret, straddling a double life as an aspiring singer by day and getaway driver by night. Universal Pictures and Illumination Entertainment have just released the teaser trailer of Despicable Me 3 which continues the adventures of Gru, Lucy, their adorable daughters—Margo, Edith and Agnes—and the Minions. Watch the trailer at https://youtu.be/o9TgEajDns0 and check out the film when it opens in Philippine cinemas on June 14, 2017. When love ends, madness begins. 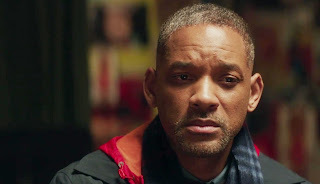 Watch the newly launched official trailer for Warner Bros.' dramatic thriller Unforgettable starring Katherine Heigl and Rosario Dawson at https://youtu.be/jYdcsnkr3YA. Genuine good guys want to look their best for the momentous times in their lives—their first kiss on their first date, the handshake after a successful job interview, those animated chats with friends during chill nights, the laugh fest and camaraderie at family reunions, and that very special moment when their sweethearts say ‘yes’ to the marriage proposal. With such ‘Instagrammable’ moments in mind, Dockers believes that grabbing the first pair of pants you see in the closet just won’t do. If Dockers, the trusted men’s clothing brand, introduced khaki to men’s fashion at a time the genuine good guys needed it most, it now brings men the Clean Khaki, its signature khaki made specially for looking good during life’s unexpected great moments. Depicting the very concept of smart casual, these chinos are made with clean lines and classic khaki styling. Available in a full spectrum of colors, the Clean Khaki offers a hip vibe, adding a contemporary tweak to the traditional khaki. 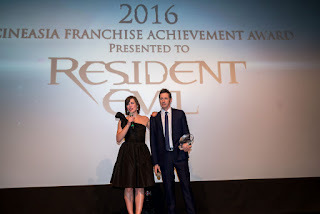 Jovovich, Anderson Accept Franchise Achievement Award for "Resident Evil"
Actress Milla Jovovich and director Paul W.S. Anderson have been bestowed the prestigious Franchise Achievement Award in ceremonies held recently during the 2016 ediiton of the CineAsia exhibitors and distributors convention in Hong Kong. Watch the featurette on the awarding at https://youtu.be/V44RNsjUwOs. The honor is in recognition of the tandem's highly successful sci-fi, action horror film series Resident Evil whose sixth installment -- Resident Evil: The Final Chapter – is confirmed to be the last, and bowing in Philippine cinemas on February 01, 2017. 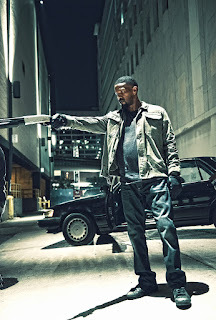 Affleck adapted the screenplay from Lehane’s novel of the same name; the two first collaborated when Affleck made his acclaimed directorial debut with his screen adaptation of Lehane’s crime thriller Gone, Baby, Gone. Lehane served as an executive producer on Live by Night. 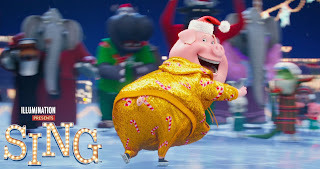 To make the current Christmas season even livelier, Universal Pictures and Illumination Entertainment has released a Christmas-themed featurette for its upcoming comedy Sing. It starts off with the characters ice-skating to the holiday classic Sleigh Ride and quickly turns into a dance party to Deee-Lite's "Groove Is in the Heart." Pure delightful hilarity ensues. Check out the video at http://youtu.be/qSyAEg6LkVs and watch Sing when it opens in Philippine cinemas on Sunday, January 8, 2017.
listening to. Through her music and her vast experience performing across Europe and US, DJ Sheryl Lynn frequently headlines various international events. The OPPO F1 is the first smartphone in the mobile technology brand’s camera-focused F series, which made its debut in the Philippines last February. 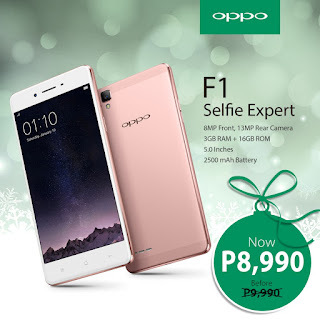 “We always want our selfies to be upload-ready as soon as we take them, and this is especially true during the holiday season,” said OPPO Brand Marketing Manager Stephen Cheng. “The OPPO F1 would make a great gift for anyone who wants to immortalize their holiday moments. Our newest discount just makes that even more possible,” he added. The smartphone features an 8-megapixel front camera with a wide f/2.0 aperture lens and a 1/4 inch sensorto capture vibrant selfies even in less-than-ideal lighting. 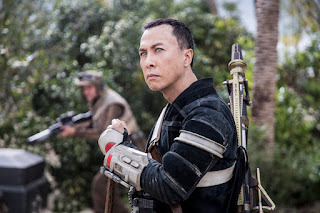 Chirrut Îmwe is the scene-stealing blind monk in Rogue One: A Star Wars Story. But, although without sight, Chirrut is anything but unseeing. He is a skilled and artful warrior who can see into the hearts of all those around. And who better to play the role other than martial arts expert and one of Asia’s most popular actors, Donnie Yen. 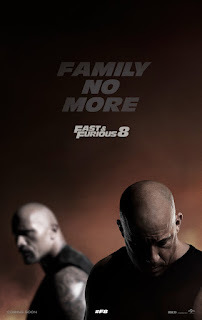 It's Family No More in 1st Trailer of "Fast & Furious 8"
Catch the first trailer that's just been launched by Universal at https://youtu.be/qSKB_n4j1bg and watch Fast & Furious 8 in Philippine cinemas on April 15, 2017. Power couple Eric and Rona Tai hie off to Singapore for the finals of Amazing Race Asia Season 5 tomorrow, December 15. The crowd favorite since day one, Eric and Rona have kept netizens glued to their seats with their amazing teamwork and gut-wrenching feats. The real-life husband and wife tandem have also upped the bar for couples aspiring to level up their relationship goals. Will they finally outshine the two other remaining teams comprised of Chloe Chen and Yvonne Lee (Malaysia), and Maggie Wilson and Parul Shah (Philippines)? Tune in tomorrow night to AXN Asia at 9pm (8pm JKT/BKK) for one last mad dash towards the grand prize of $100,000! Best Director Oscar nominee Morten Tyldum follows up his The Imitation Game triumph with Columbia Pictures' Passengers, an exciting acton-thriller starring global superstars Jennifer Lawrence and Chris Pratt. 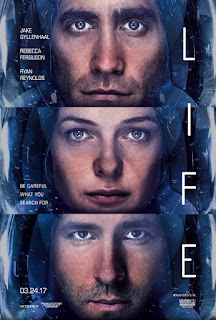 In the film, Aurora (Lawrence) and Jim (Pratt) are two strangers who are on a 120-year journey to another planet when their hibernation pods wake them 90 years too early. Jim and Aurora are forced to unravel the mystery behind the malfunction as the ship teeters on the brink of collapse, jeopardizing the lives of the passengers on the greatest mass migration in human history.